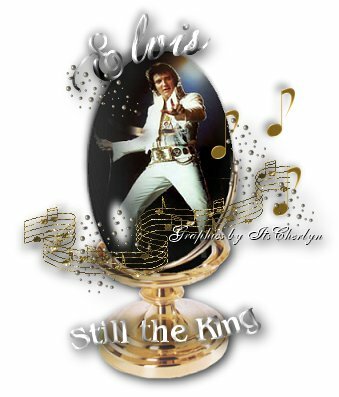 How did an Elvis Presley fan, from the Central Goldfields in Australia, end up building a website dedicated to telling the Elvis Presley biography, for all the fans like me who miss him so much? Hi my name is Theresea Hughes and I live in a Country town in Victoria, Australia. 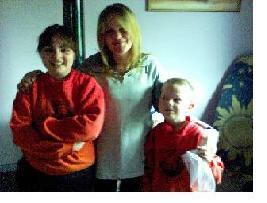 I am a mum of four children and a grandmother of two. I have been a true blue Elvis Presley fan from the age of nine and dreamed of one day going to his concerts, but that was not to be. I was 14 when I heard the devastating news of his death. So with my devoted feelings for The King, I started this website to be a part of others who feel the same as I do. Although my days are quite busy I found myself wanting to do something more creative with my rare spare time. Something fun and a little challenging, while also earning me an income. I also wanted something to fit in with my family and their school activities. I know it's hard to make ends meet on a single income; the demands of responsibility are high. I work part time so it's been a learning experience trying to work and be a mum. I want to one day be a full-time "work at home Mom" — doing something I love! So even though I had no idea how to get started, I have still been able to create a couple of very successful websites. It's been a lot of fun creating my sites, not to mention the rewarding income. Before I started the web sites I had never touched a computer, but now its part of my day and a part I look forward to best! I love what I'm doing, it's a great achievement. Being a parent is also rewarding, but if you're looking for something more, maybe a second income or a hobby, consider building a website. Starting an online business as a hobby is fun, fulfilling and rewarding. Simply choosing a subject of your own interest something you know about with a passion to share with others. It could be photography, DIY home repairs, Gardening, or parenting. I discovered Site Build It hosting service which is very informative, tells you how to create your website step-by-step, and how to make it successful to attract visitors and profitable too. It is the cheapest hosting I have found for all that is included in the cost, with even more new great "extras" added every few months that are included in the price. Everything I need to create my website business is included, email with spam control, unlimited ezines, unlimited forms & surveys, autoresponder mail, graphics, unlimited pages can be loaded on your site, Search Engine optimization analysis at the push of a button for every page, automatically submits every new page to the search engines so that visitors can easily find your content, all you need to know is how to type what you want to say on your page, then click your mouse to copy and paste it into your website templates for each page. All in the one registration fee — amazing! SBI is there to help and guide you through the next step, it's almost as if SBI is there holding your hand. SBI is there for you, offering a successful journey. My websites are already paying for themselves and making me a profit just from the Google ads on my site's content. I'm now getting ready to publish and sell some book sets for more profit, but I sure can't complain when the websites are already paying for themselves before I even get a product to sell in my internet website "shop"
Believe me, if I can do it — with NO COMPUTER EXPERIENCE AT ALL — you certainly can too! I have also found some interesting and helpful articles about work at home Moms and starting an internet business, that I have added here for your information. I have also put a bit more about how I have built my profitable websites at the bottom of this page for you. If you have any questions about how Site Build It works, just CONTACT ME and I will try to answer your questions. Mothers who work at home (or Wahms) are a growing population of working America. As more and more women want to spend time with their children and need to bring in an income, there has been a boom in the work at home industry. Making the decision to work at home is not always an easy one. Before you decide that being a Wahm is right for you, you need to take a few things into account. Blogging is one of the best ways to start a Wahm business because it is so easy to get going. However, that does not mean that it is easy to make money from your blog. Don`t start a blog and expect to see money rolling in immediately. Blogging is an activity that will take time to build up to a profit level. It`s a good thing to start while you are working on other Wahm opportunities to let it build to a profitability level. With time and attention, your blog (or blogs) will grow into a business. One of the best, and simplest, ways to start a Wahm business online is to become a seller on one of the several online auction sites. Ebay is the most popular, and most widely recognized. However, sellers are also having success on Yahoo auctions, Overstock auctions and many others. If you have experience working with kids, or are just an children lover, then starting a work at home baby sitting business may be right for you. baby sitters offer an important role to parents and help keep the one hundred and forty-five million babies in this country healthy and happy. If you`ve decided that working as a Wahm writer is the best work at home job opportunity for you, then you`ll need to figure out how to get writing assignments. Fortunately, when you work as a web writer there is no shortage of job opportunities. It all depends on where you look and how much research you are willing to do. Just "right mouse button click" on the links below, then select "save target as" from the window that appears, to download these safe .pdf books to your desktop.. Written by four successful WHAM`s ` their experiences will help you to succeed even faster. The first kind of businesses that you can create when looking to create an online business would be a website which serves a particular niche in the market. For your business to be turnkey, there are going to be a couple of things that you'll probably want to have in place. You want to have some online business systems so that you have created efficiencies so that a minimum of your time is required for this business. The first key when creating online business Internet computer marketing is to assess your competition. This is important because you need to know what your competition is doing when devising your online marketing plan. This 5Pillar Affilaites Master course is a very comprehensive training guide by the respected Dr Ken Envoy, of SiteSell fame. Then see for yourself how great SBI is — from more happy webmasters! Here are a few of my tips for creating a profitable website.... there is so much more help for you in the SBI Training Manuals above, they cost nothing, but are incredibly helpful! One of the first & most important things about creating a successfull websites is making all my web pages visitor friendly. There is no greasy sales pitch — just great content that offers great value interesting information for all my website visitors. After all, that's why my visitors come to my site. To get quality information! Your online business must please two groups. It must please the search engines and it must please your potential customer. The search engine will rank your online business well if it provides valuable information. Your online business must contain content that centres around one niche. You can create massive online businesses as well, but this article assumes you are working with a budget. Once you have a site that provides excellent content and ranks well at the search engines, you will receive visitors to your business. Remember that these visitors are looking for answers. When they click on your site in the search results, they become highly targeted, hot prospects. They want your online business to solve their issue. They want your online business to help them. That's why they were searching in the first place! Lets move one step further in this process. Now that you have a hot prospect browsing your online business for information that solves their problem or answers their questions, you must deliver. Here is where your content helps you score again. It first helped you rank well at the search engines and now it is going to develop a friendly and professional relationship with your potential visitor. Your content will pre-sell your product or service. No cold sales needed. This is the Internet. Keep them on your site by providing informative and helpful content. You should also try to get their contact information so you can continue to build a friendly relationship with them even after they leave your site. This can be done by offering a free ebook or a free ezine subscription. Give your visitor something of value in return for their email address. Doing diligent research will yield a few online opportunities for work at home parents. Below are 4 steps that have proven effective in online businesses. Creating an online business should be about passion first and foremost. Pick a few things that you know and love. It could be orchids, fire trucks, fitness, or libraries. Whatever it is that you love and know something about will qualify. Let's take parenting as our example; I create a website about parenting. I write about toddlers Discipline, activities, parenting tips, kids games, and recipes ect. I make all of my web pages visitor friendly. There is no sales pitch- just great content that answers my visitors question or solves his problem. After all, that is why my visitor came to my site. To get information! I now have a website all about parenting. It provides excellent information that my visitors will love. Search engines will love it too and here's why. Have you ever done a search for something on Google or Yahoo and the only results were spam? They were just websites designed to sell you something? Of course you have. We all have. Search engines are constantly looking for websites that provide real information. That is what makes their customers (you!) happy. If the search engines can find a great online business, they will rank it well within their search results. When you create your online business, you will create content that is easy to read and answers your visitor's question. Your visitor will now view you as an expert in your field. She will build trust and confidence in you because you are not trying to sell her a product. You are giving her what she wants- information and answers to her problem. Believe it or not, this is the easy part. Building friendly content rich pages is the hard part. By now you have 10, 20, or maybe 100 pages all about your passion. You are ranking well at the search engines because you answer the question or solve the problem of your visitor. You have built trust and loyalty with your customers. The next step happens naturally. When you create a new product or service, you already have a base of raving fans to market to. These raving fans already know you and already trust you. If your new product or service speaks to them or helps them they will buy from you. Why wouldn't they? They already trust you. That is the key ingredient. Work at home mums and dads have a hard time generating a second income while maintaining their core values and beliefs. Often times they drop tons of cash and waste loads of time on dead end work at home options. Doing research is the first step. Learning about business and online businesses is the second step. It is absolutely possible for a parent to stay at home and raise the family while producing a second income. Get more tips here on how to profitably "work from home"
In doing this web site, I have totally enjoyed the new experience. I hope you join us on the SBI team! I wish to also thank Helene Malmsio, a lady who helped get me started. The Blue Box... No Horsing Around With SBI!